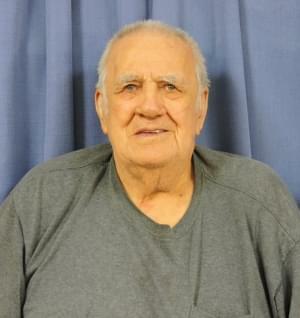 Kenneth “Kenny” Wayne Hord, 87 of Flora and formerly of Hord and Louisville, passed away at 12:37 on Wednesday, February 13, 2019, at Clay County Hospital in Flora. Kenny was self-employed as a horse trader. It is estimated that he had dealt in over 1000 horse trades over the years. He also drove the school bus for several years at North Clay School District. He visited with Glen Rosenberger daily and they were considered the best of friends. He was a member of Hord Christian Church and a member of the Louisville American Legion Post #914. He enjoyed his stay at Heritage Woods in Flora and had grown to know many of the residents and employees there. Kenny could be seen from his window in the morning waving and greeting the Heritage Woods staff as they arrived at work. He loved spending time with his family and enjoyed talking about horses. He was born on May 28, 1931, in Hord, the son of the late Martin Thomas and Lena Mae (Wilson) Hord. Kenny married Patsy Ann Cooper on December 22, 1951, in Hord and she preceded him in death on January 10, 2017. Shortly after Kenny and Patsy were married, Kenny served in the United States Army during the Korean War Conflict. Mr. Hord is survived by two sons; Doug (Patricia) Hord of Creal Springs and by David Hord of Hord, two daughters; Tracey (Chris) Schoo of Brownstown and by Tina (David) Young of Flora, six grandchildren; eleven great-grandchildren and by a sister; Delores (Floyd) Miller of Effingham, and by many nieces, nephews and friends. In addition to his parents and wife, Kenny was preceded in death by a brother; Leland Hord.